I think my husband and I have a love affair with the Alps. See, we've never really been beach goers. I like the beach, it's nice to walk along and the beach bars are always fun (and generally overpriced as well), but for us the mountains is where we would rather be. Maybe it's because I grew up in Alaska, but I think it is more than that. I love the crisp air of the mountains. I especially love having these huge masses of rock formations jutting out of the ground and surrounding me. There's something safe and comforting about that (again, it could be because it reminds me of home). I like the idea that there is so much to explore, countless trails to hike, and beautiful beautiful places to visit in the mountains. And I cannot forget to mention the culture. We (being myself and my husband) have talked about this with a lot of people, and I think there is a very distinct culture that comes with living in an area with mountains. I don't exactly how to describe it, but I love the people and attitudes that go along with these mountainous areas. Back to the Alps. If you've never been and love the mountains it's absolutely worth a trip. The enormous mountains span across seven countries, with each country sharing it's own unique flavor. In Austria, the fare is much cheaper than it's Swiss counterparts, and the local food is hearty. Every different area in Europe is known for a specific drink local to the country or region and Austria is no different. 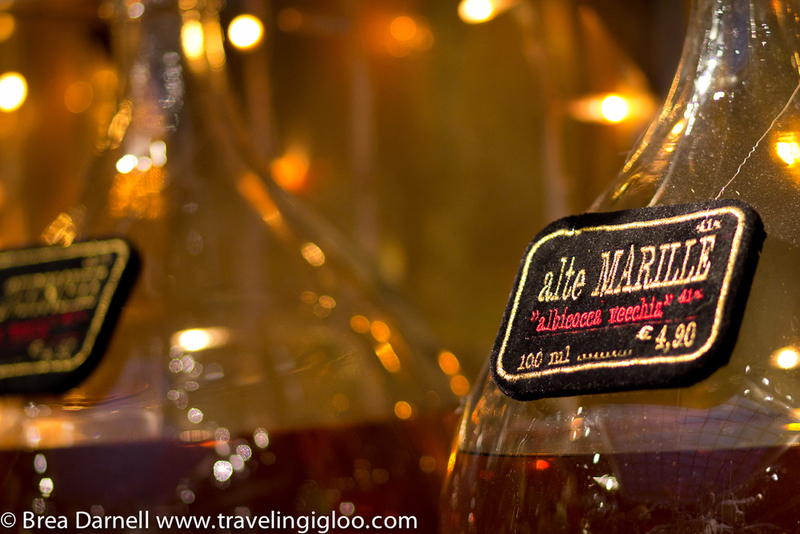 If you want a spirit to warm you up, schnapps are abound in little shops and all of the restaurants and cafes around. Many of these shops let you taste samples of their schnapps. In fact, they will let you try as many as you like! The schnapps pour readily out of spouts connected to these large glass fishbowls that line the stores. In some of the shops we saw schnapps sitting in large tubes running along the walls with a backlight to illuminate all of them. 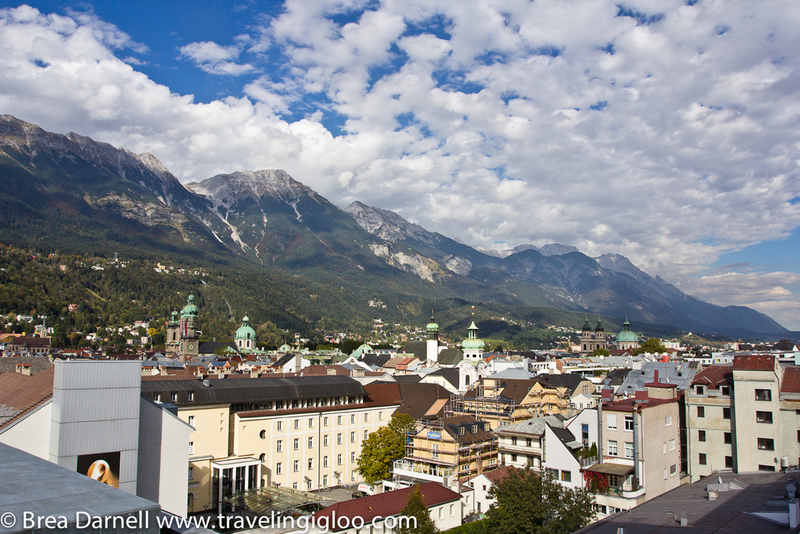 Innsbruck is a larger mountain town of about 120,000 and is the capitol city of the Tyrol state. 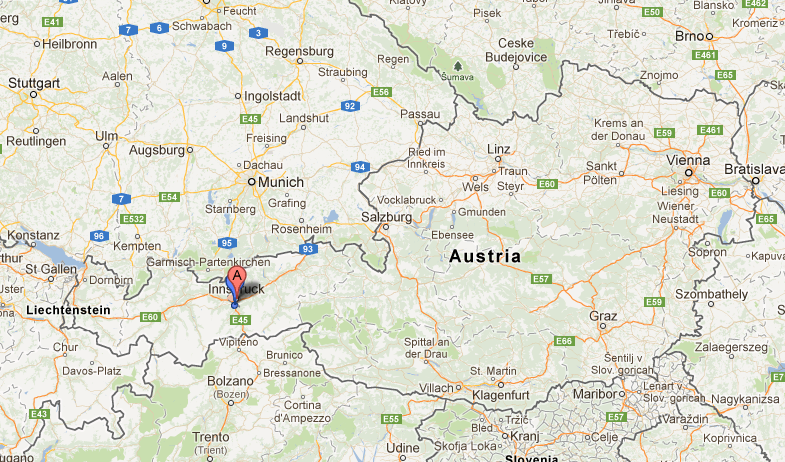 It sits in a valley surrounded by mountains and is in the west region of Austria. 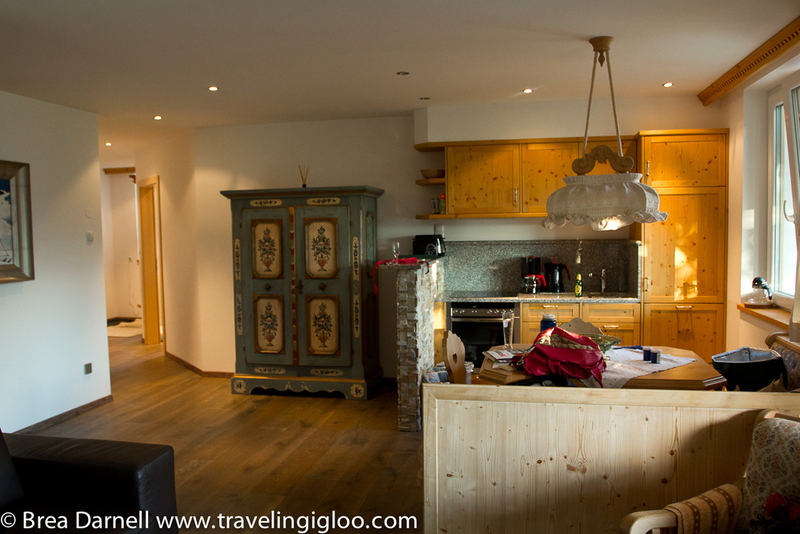 We were only a 30 minute drive from Italy, a 30 minute drive to Germany, and a few minutes to many ski resorts and stunning lakes nearby. For me this all equated to heaven. I think more than once we were contemplating how we could find a way to stay in Austria forever. Unfortunately, all of our options probably wouldn't have worked out so well! The Olympic winter games were held in Innsbruck in 1964 and 1976, and you can still visit the main ski jump perched on the mountain. There is a restaurant inside the Bergisel as well as a museum, and there are still ski/snowboard events held in winter months. In the center of Innsbruck there is the Old Town or Altstadt. It is a pedestrian walking area with shops, bars and restaurants all around and the University is nearby as well. There are a lot of beautiful Baroque-style buildings throughout the city to see, and overall there is plenty to keep you busy for a few days. We wanted to stay on the outskirts of town, mostly because we were bringing our dog but also so we could easily access hiking trails and be closer to the mountains. I found a place online called Kasperhof Apartments. They are relatively inexpensive and the area and views are amazing. There was a bus stop about 200 meters from the apartments which took us on a short 13 minute ride into the Old Town in Innsbruck. Also, these apartments are nearly new and very well kept. If you want to check them out click here. We paid only 90 Euro a night and our place had two bedrooms so we could've accommodated another couple. We only visited for four days but managed to cram in a lot. There were hiking trails leading out from our doorstep, and a few of the trails had restaurants along the way. We checked out one recommended by the property manager and I am so glad we did! It was about a 40 minute walk through the forest alongside the mountains, and it opened up to a huge farm that housed a restaurant. The kitchen made many dishes from their garden and the milk was also fresh. We had homemade pumpkin soup which is a popular dish this time of year. As a side note, I never knew how many different types of squash existed until just this year. I love buying the seasonal vegetables and fruits here. If you've never had pumpkin soup you are missing out! TJ had the cordon bleu both times we went (yes we went there twice the food was so good!) and I tried a steak the first time and a chicken salad then next. Both were amazing! The first time we went I was walking around trying to capture some images before it got really dark out, and walked by an open barn door. I could hear a young lamb crying and crying when I was walking up. When I looked in he was standing at the doorway. Well, he decided to follow me around and before I knew it he wouldn't leave my side. It was adorable. So I had my little sidekick following me all around so I could take photos, and then following me back to my table outside. When we decided to go sit inside because it was getting cold, he even tried to follow me in! 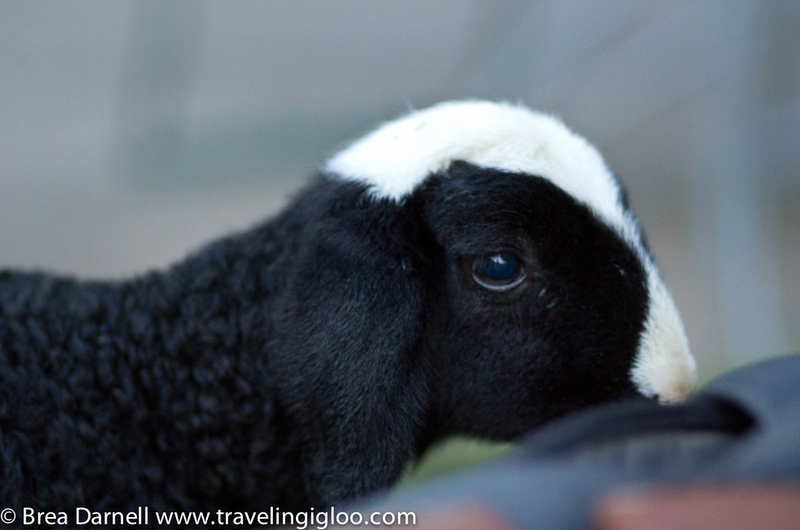 In case you are wondering the menu did not have lamb on it, I checked, hah. If you like the outdoors, the entire region of Tyrol is a natural paradise. We went to the Achensee one day, it's a lake 40 minutes away that many call the 'Fjords of the Alps'. It looked pretty in pictures, and lived up to its promise when we arrived. Juno was in heaven. In case you don't know, she's our yellow lab and loves water. She even splashes in the puddles when we take her on walks so needless to say she was a happy dog. The Achensee has plenty of activities, from cable cars running up the mountains to get a better viewpoint, hiking, paragliding (we saw so many people doing this when we were there), and in the summer kiteboarding and sailing lessons. The Achensee is one of hundreds of lakes in Austria. We drove by many on the way to Innsbruck and almost all of them are very green in color and so clean that you can easily see to the bottom. Did I mention I love Austria? We went into the Old Town a few times to grab something to eat and check out the stores. Well, I checked out the stores, my husband wasn't quite as interested. The last night we were there the entire Old Town had transformed for shopping night. This meant the stores were staying open later and offering deals. Where we live in Germany they also have shopping night a few times a year on the Konigstrasse in Stuttgart. After seeing the one in Innsbruck and how lively it is, I think I need to check out the one in Stuttgart. Innsbruck is a college town so drink and food specials are abundant. This was good news for us because we weren't looking to spend a ton of money while on vacation. We went to a rooftop bar that had an outdoor area and a 365 degree viewpoint of the city. I was able to get some good photos from up there as well. As you can see, we were really lucky in terms of weather the entire time we were there. If you are interested in seeing more historical areas, there are countless castles and places to visit nearby. We didn't make time for it, but there is a cable car that runs up the mountain overlooking the city. I'm sure the views from the top are stunning. 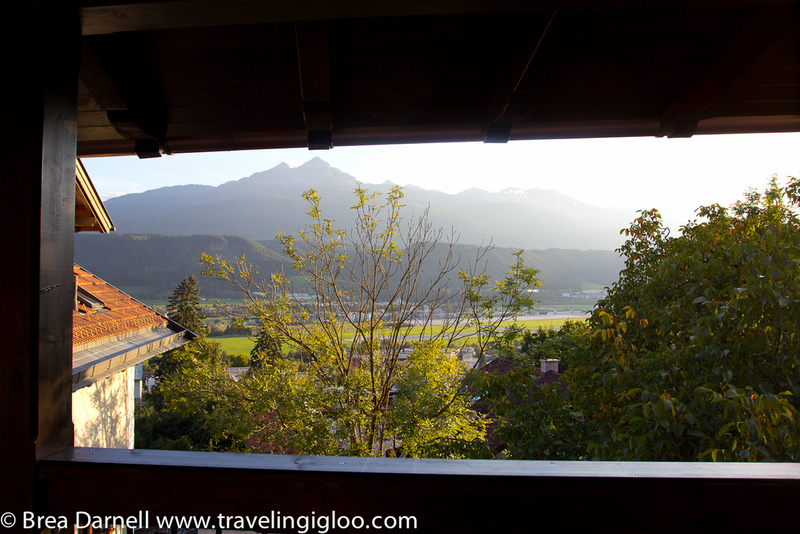 Have you ever been to Innsbruck? What was your favorite part about the city? 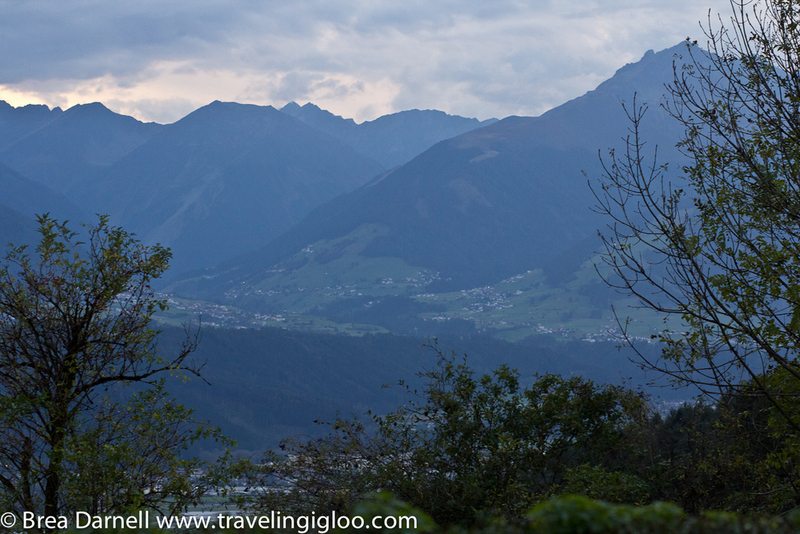 To see my full gallery from the trip to Innsbruck, Click Here!